Last week the sun shone on my HDYGG post but it did not want to play ball today - Tuesday - when I went out for a potter around. Still, I found a little bit of colour. 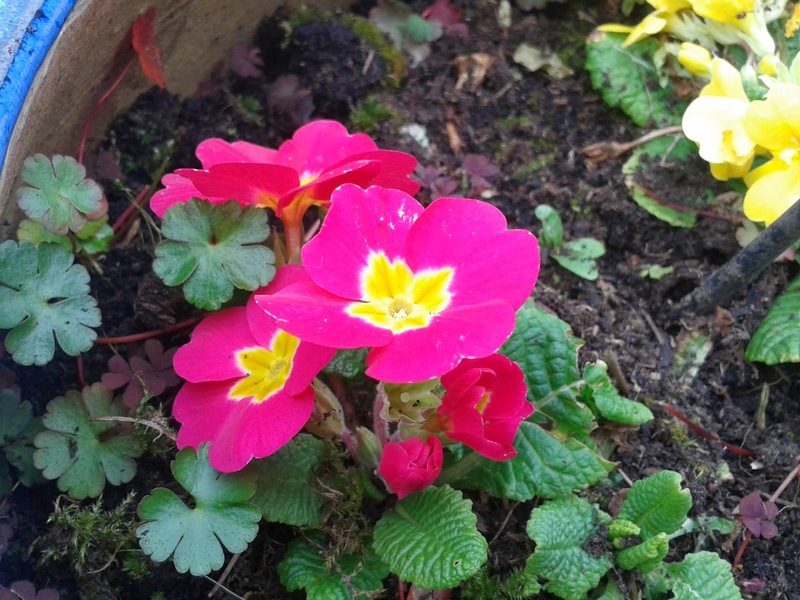 The primulas have just about survived unscathed from the chickens. 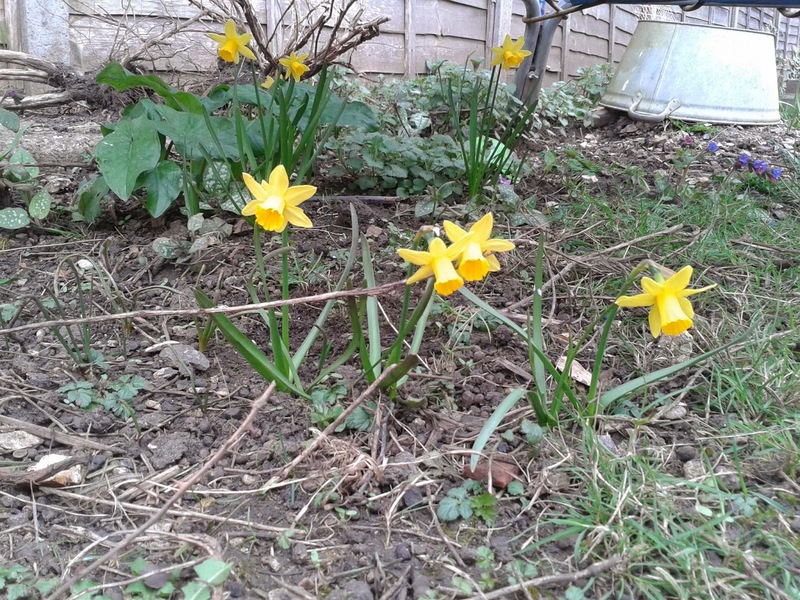 I'm so glad as they add a vibrant splash of colour to the garden. The lupins however tell a different story. These have had to be moved off the patio out of reach of the chooks! 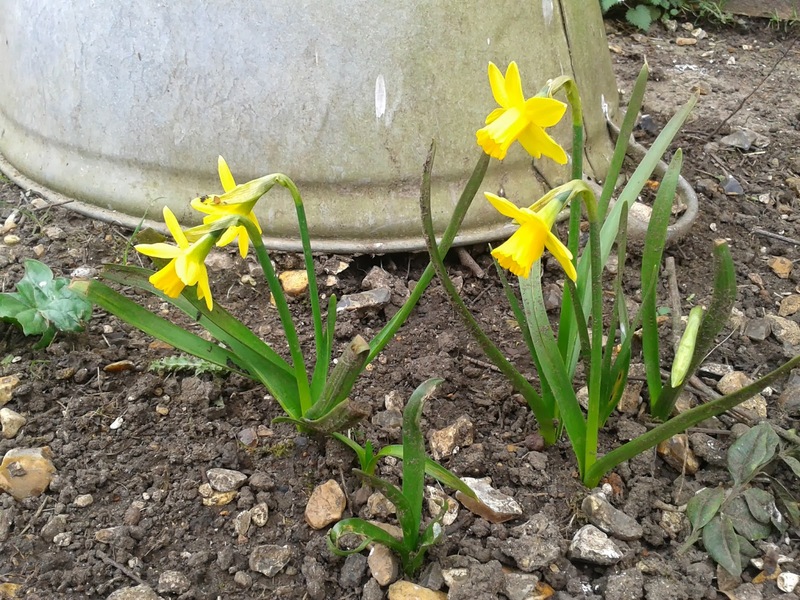 I had completely forgotten about the mini daffodil bulbs and it was so nice to find a small spread of these yellow delights bobbing in the breeze. 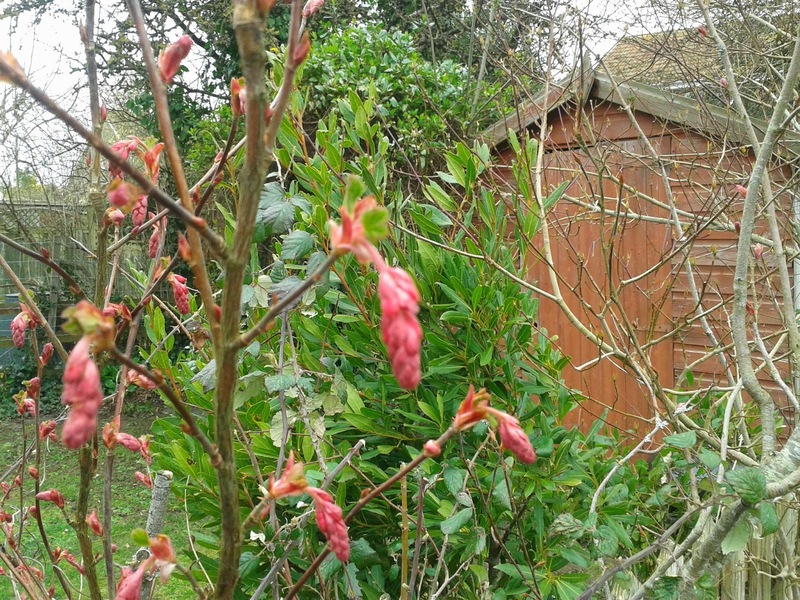 Spring buds have started to appear on neighbouring bushes and shrubs but the vegetable garden at the end of the garden remains untouched in two weeks. 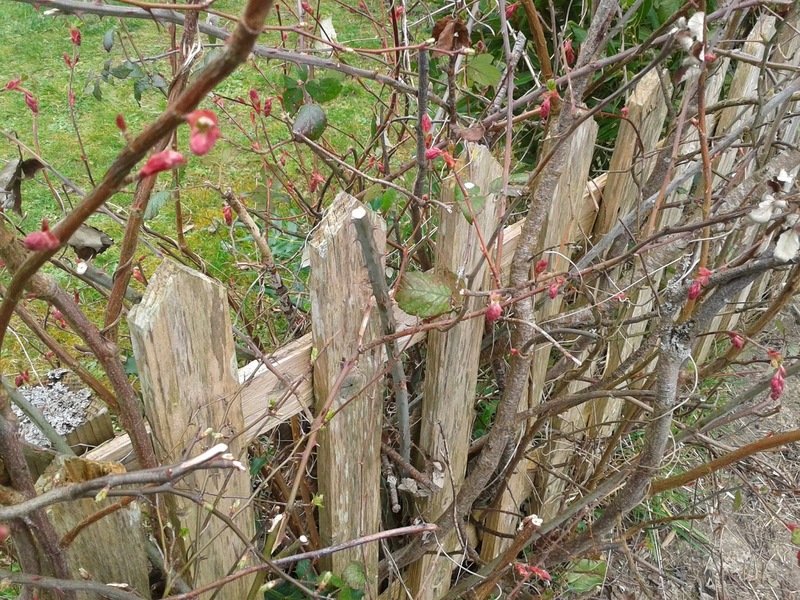 The old picket fence will have to remain for now - one day it will need replacing but seeing as no one knows who is fully responsible for boundaries and having gone 50/50 in the past we are held on this one. 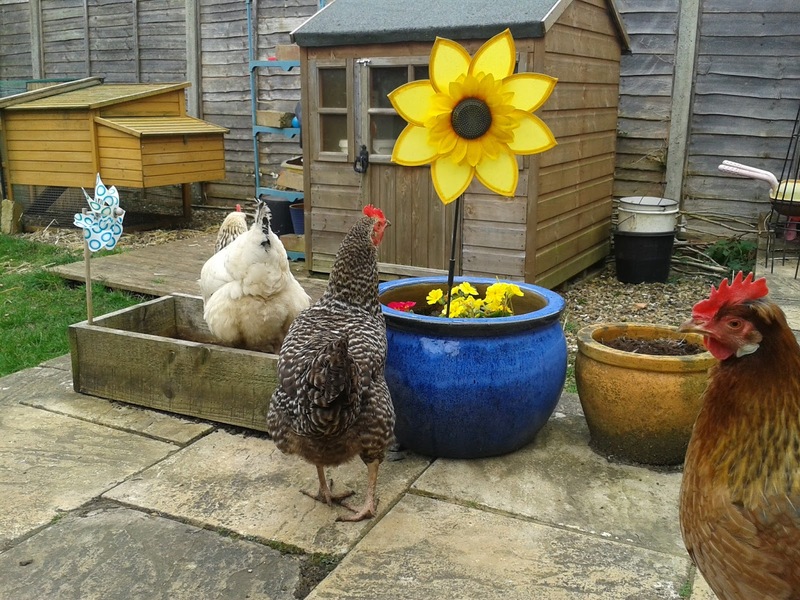 Finally, the chickens are back free range following two big fence panels being replaced so, fingers crossed, the chooks are free to roam. Until we re seed the lawn! 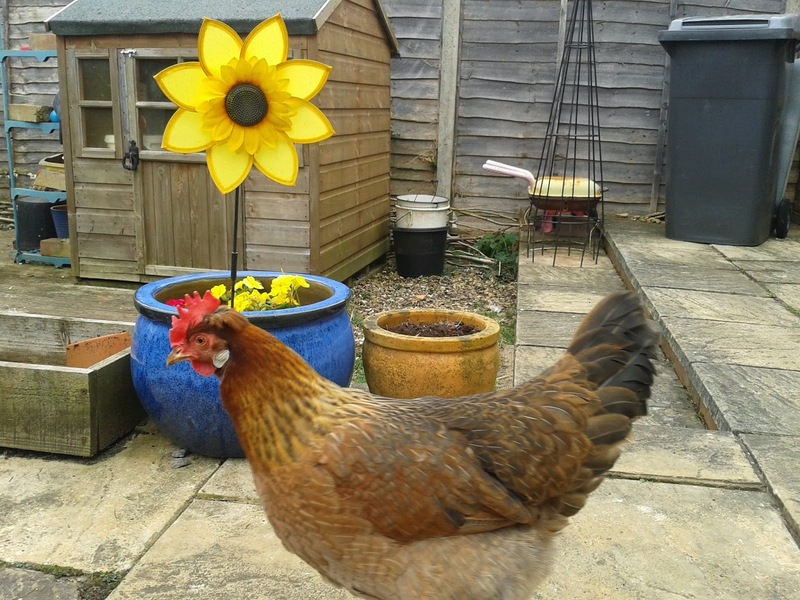 My chooks had to be confined to home after M Renard got 2 of them who refused to come home to roost one night. But home is a very big field so they shouldn't really complain ... and I can find all their eggs easily now! 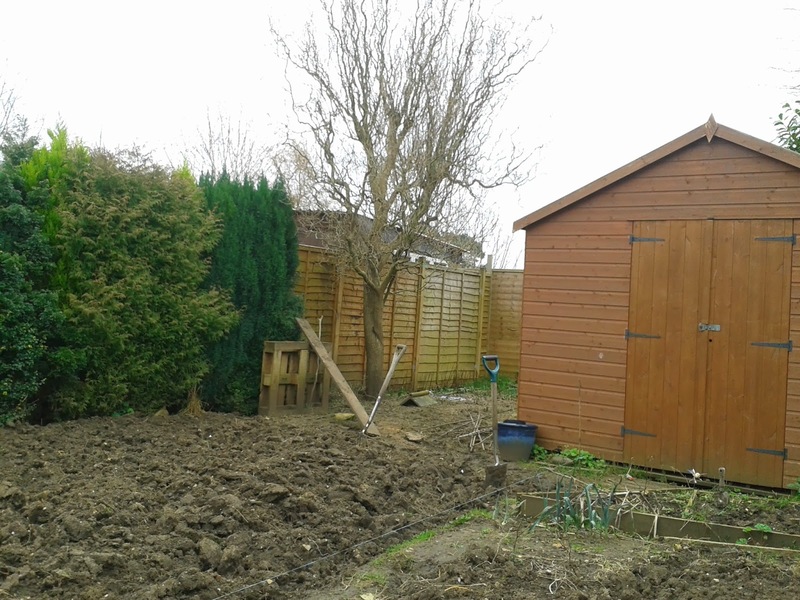 Looks like hard work digging up that patch over there! Your chickens really are gorgeous. Do they let you cuddle them? 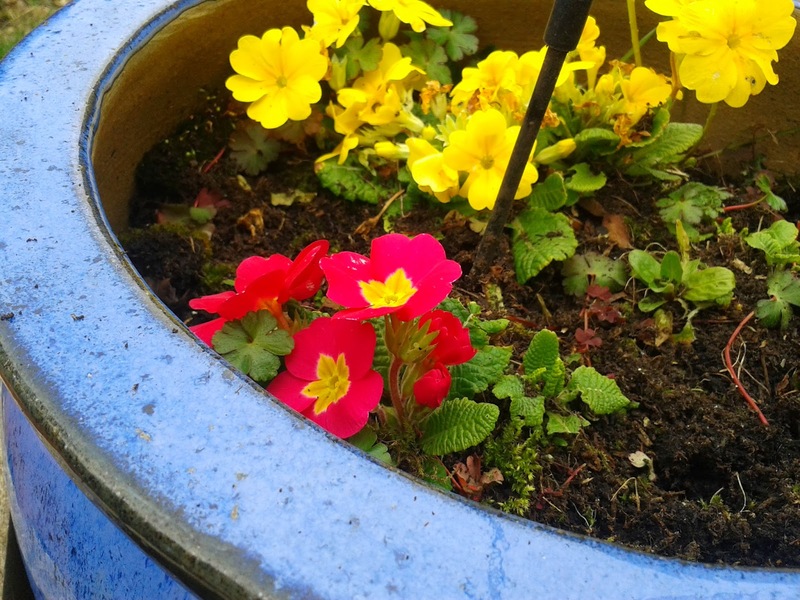 Im sure your garden will have marvellous mix of colors in spring! The colours, especially in the chicken photos, are amazing - the light at this time of the year seems to highlight the vivid colours sometimes. 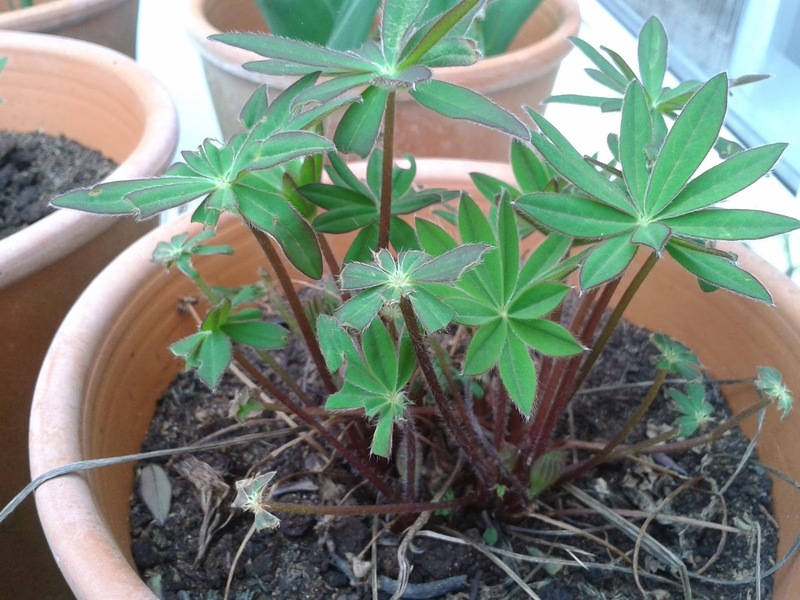 Hope for some more sun this week - that may help the Lupins spring back as well!